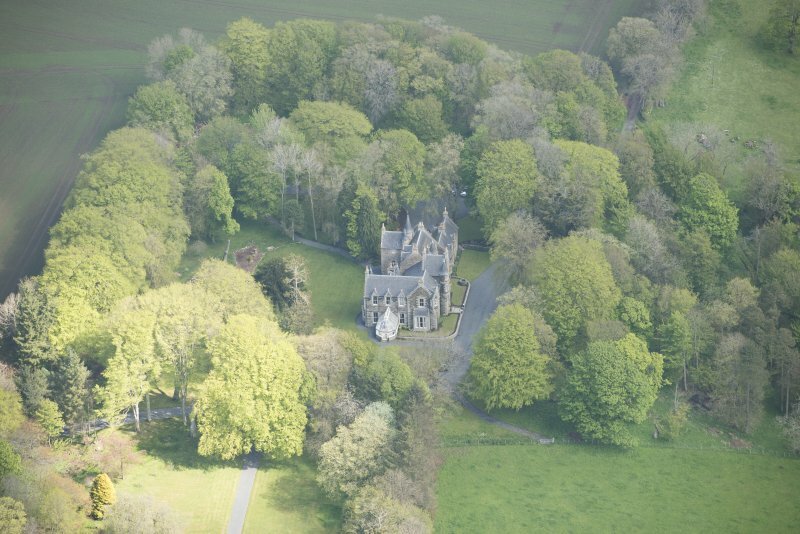 Oblique aerial view of Arnage Castle, looking to the WNW. 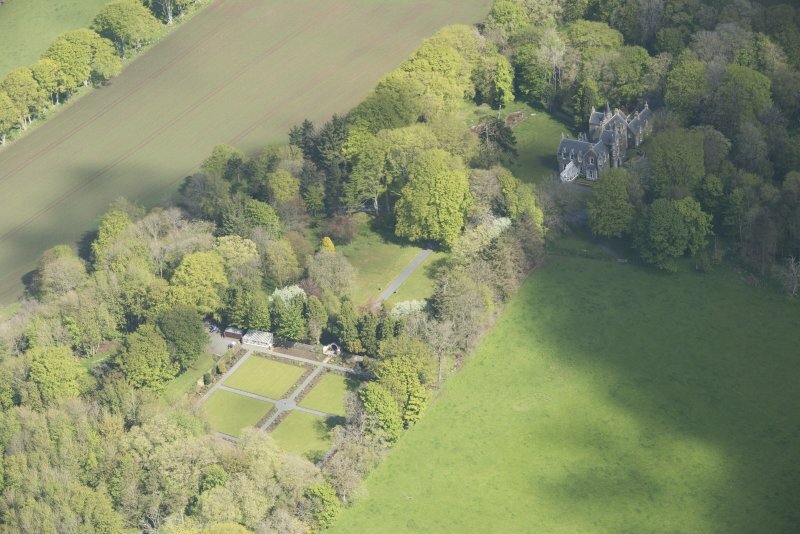 Oblique aerial view of Arnage Castle, looking to the NNW. 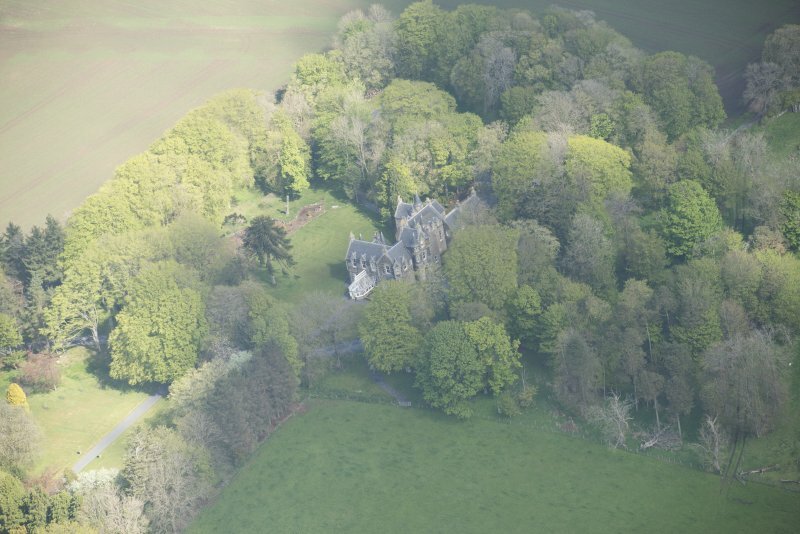 Oblique aerial view of Arnage Castle, looking to the NW. 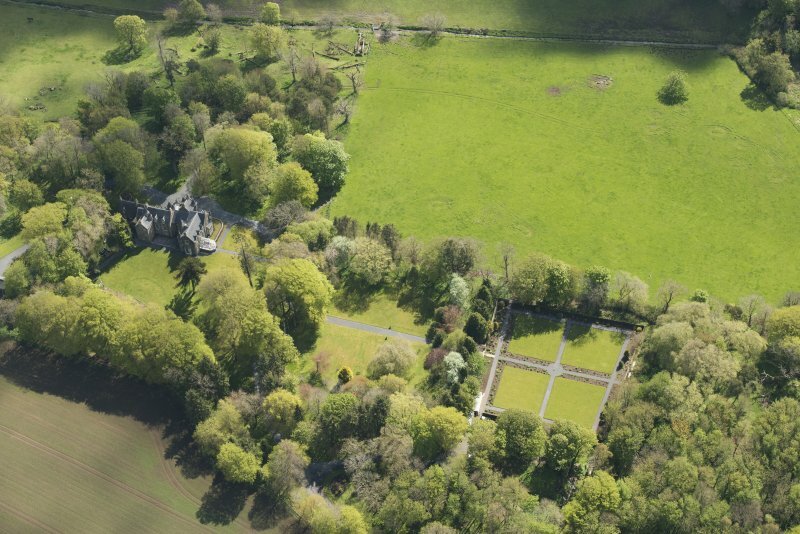 Oblique aerial view of Arnage Castle, looking to the W.
Oblique aerial view of Arnage Castle, looking to the NE. Drawing of Arnage Castle. 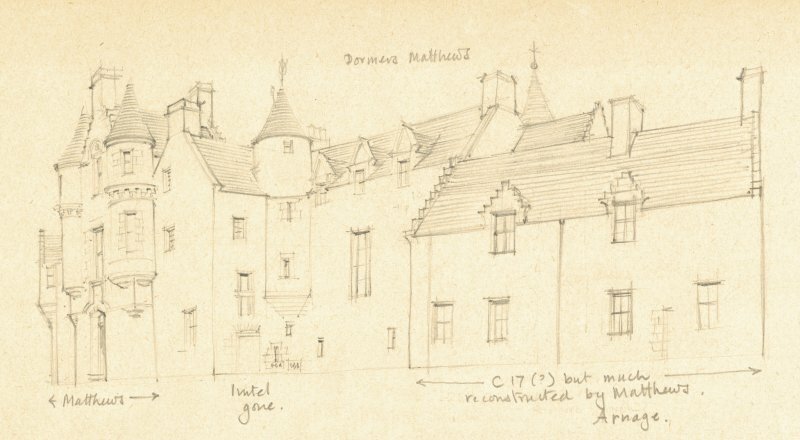 Detail taken from drawing of buildings in the parish of Ellon Landward. 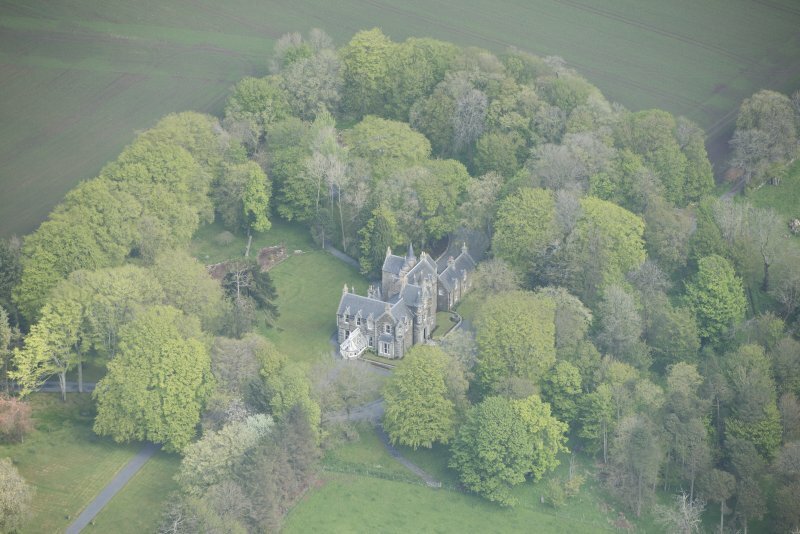 Oblique aerial view of Arnage Castle, looking to the NNE. 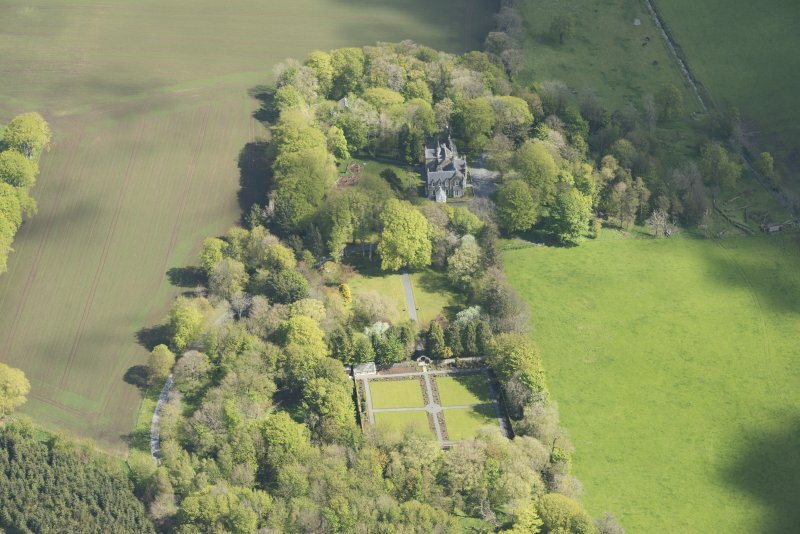 Oblique aerial view of Arnage Castle, looking to the E.
Oblique aerial view of Arnage Castle, looking to the WSW. General oblique aerial view of Arnage Castle, looking to the E.
General oblique aerial view of Arnage Castle, looking to the NNE. baronial entrance is more institutional than domestic; his addition on south, remodelling of north-east wing and infilling of north reentrant are of varying success: addition to Matthews' wing, 1964, D C Stewart. 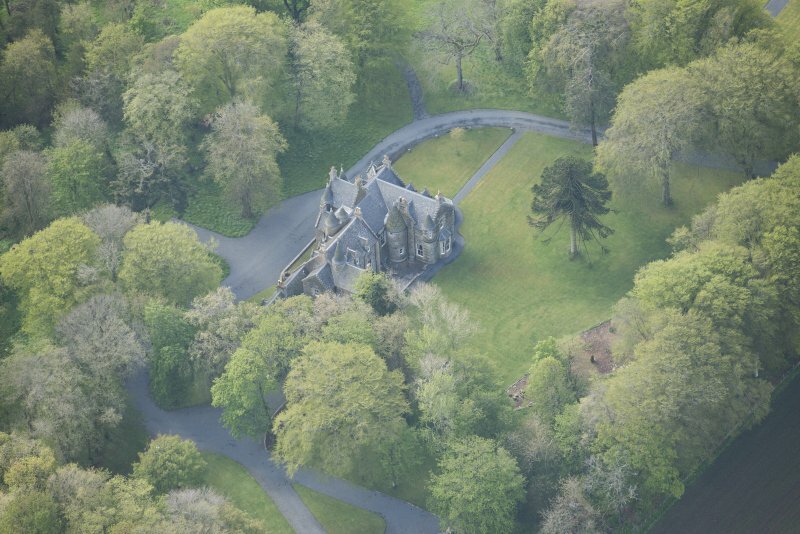 A Z-plan mansion to which additions have been made. It is supposed to have been built about 1650 (sic ? 1550 meant) on the site of an older keep. 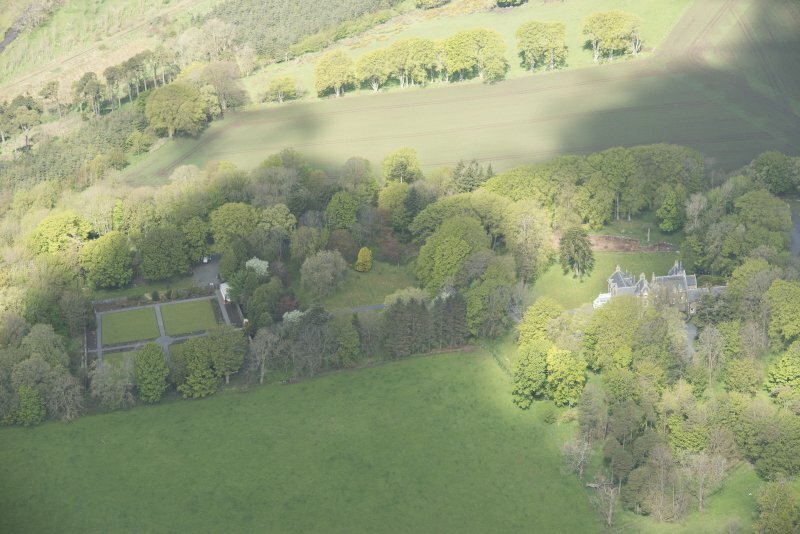 Arnage was the property of the Cheynes until about 1630 after which it passed through various hands until acquired by the family of Ross of Arnage in 1702. Arnage Castle is in good condition and still occupied. The additions have masked much of the original work, but the W and E sides are still exposed. Flanking a blocked-up door in the E re-entrant angle are wide-mouthed gun ports and decorative shot holes, similar to those at the House of Schivas (NJ83NE 30), suggesting a date in the last half of the 16th century. Visited by OS (A A) 1 March 1973. Old plans in the possession of A.G.R. Mackenzie, A.R.S.A., F.R.I.B.A., 3 Bon Accord Square, Aberdeen. (May 1941). Incomplete plans showing additions by James Matthews about 1860. 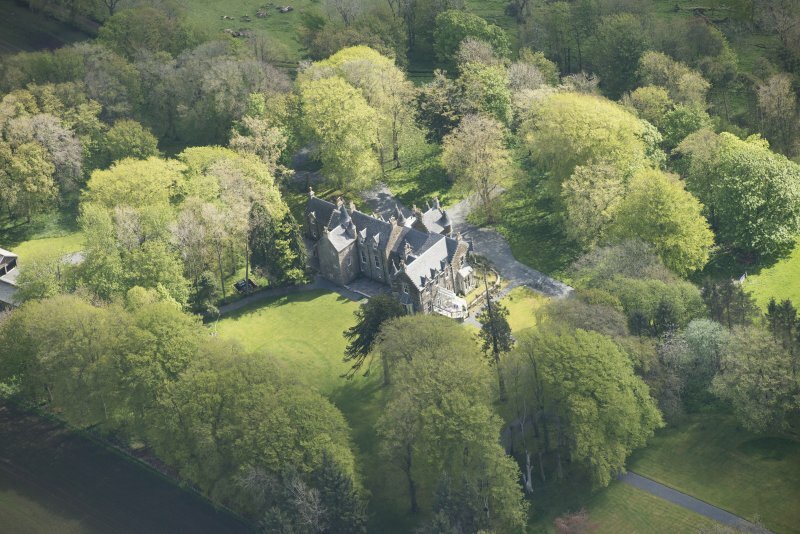 NJ 9349 3704 Arnage Castle dates from the late 16th century when Thomas Leper built a Z-plan tower house some 7km N of Ellon. 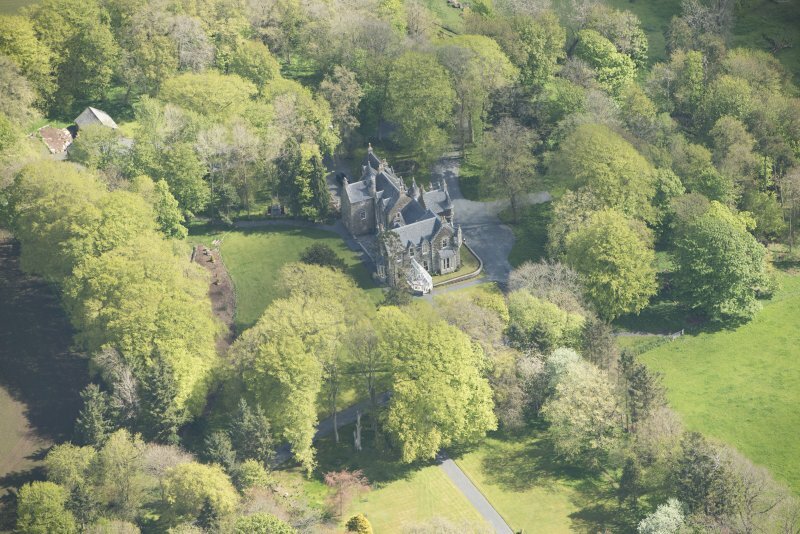 The castle was remodelled in the late 17th or early 18th century and extended further when a large wing was added in 1860. 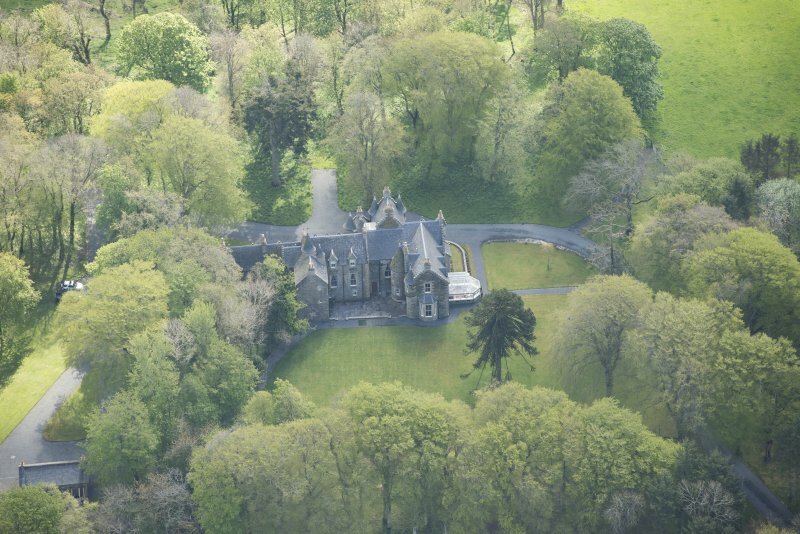 The survey, undertaken in December 2008, provided drawings and photographs of architectural features in the castle’s external faces prior to their being reharled, the original harling having been removed and the stonework re-pointed in the 1960s.